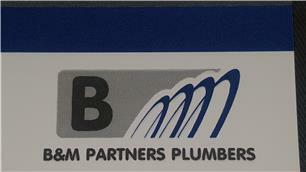 B&M Partners Home Improvements Ltd - Bathrooms, Plumber based in London, Greater London. Hello and Welcome to B & M Home Improvements Ltd.
My name is Babak or you can call me Bob. I have been in the Plumbing Industry for over 12 years and there isn’t much I haven’t come across. I take pride in what I do and I genuinely love my job. I always aim for perfection and constantly strive to improve my skillset wherever I can. I'm reliable, honest, down to earth and trustworthy. I've a passion for diagnostic work and love to solve problems - nothing beats fixing an issue and leaving a client smiling. Contact me today on 07961 716330 or Email us for a Free No Obligation Quote or Advice.